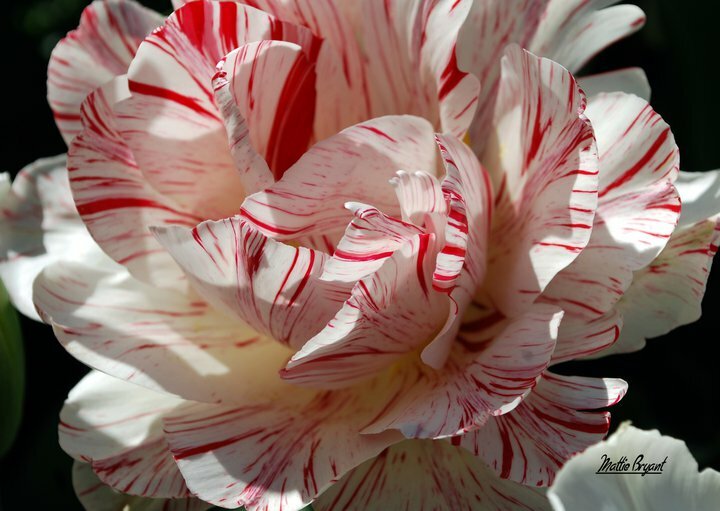 This red and white double tulip reminds me of peppermint candy. I love all tulips, being one of my favorite flowers, but the double tulips are a double delight for me. They are a spring flower and never seem to stay around long enough.